Nos. 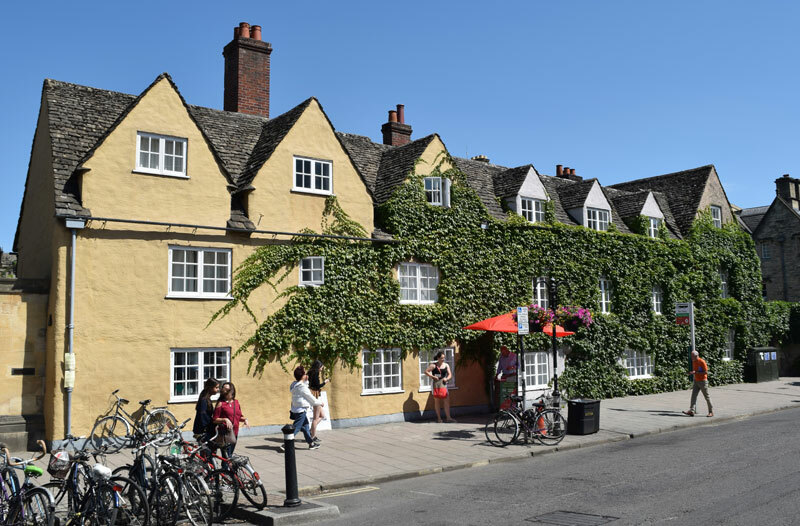 57 and 58 are the two cottages in the middle of the group of six cottages (including the two incorporated into the lodge) that form part of the frontage of Trinity College. The buildings and the land behind them were bought from Magdalen and Oriel Colleges in 1786, but not incorporated into the college until 1885. 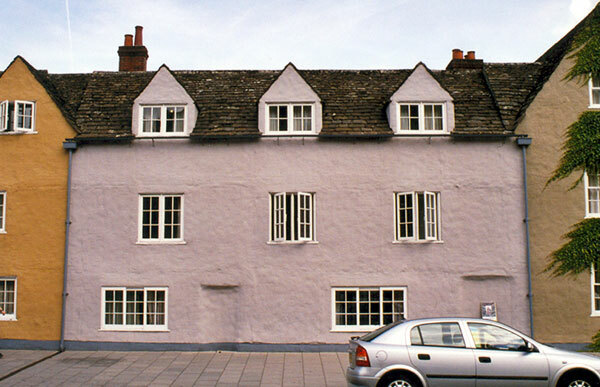 Originally built in about 1680, they were demolished and rebuilt in facsimile in 1970. They are jointly Grade II listed (List Entry No. 1046621) with the other cottages and the main gate. They were originally let out as private homes and later as housing for college staff, but became part of Trinity College when the Front Quadrangle was created by Sir Thomas Graham Jackson in 1883–5. Nos. 57 & 58 (above) were clearly once two separate homes, with front doors opening straight out on to Broad Street and no front gardens. 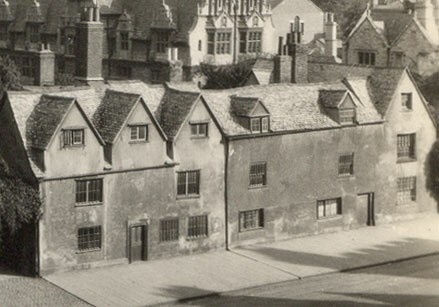 They were joined together to form one home in 1880: this picture from the English Heritage website shows them in that year (note that they have been rebuilt with an extra first-floor window and extra dormer in the roof). At the time of the 1841 census, No. 57 was occupied by a college servant, Sarah Worville. In 1851 she is still there, a widow with five grown-up children. She continues to be described as a college servant in 1861 at the advanced age of 75. According to directories, she remained in the house until 1867. George Perrott, another college servant, is listed at No. 58 in 1841 and again in 1851, with his wife and four children. In 1861 the cottage was occpuied by another college servant, George Osborne, and his family. By the time of the 1881 census the two cottages had been united to form one house, which was occupied by James Ray, a college bedmaker, his wife and two children, and their servant.